The new map covers the whole mountain range of Lefka Ori from its northern foothills to the Libyan Sea (Sfakia). 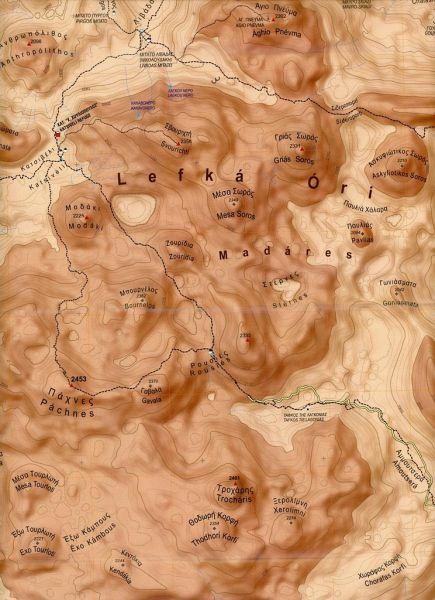 All the hiking routes that crisscross the mountain (including the E4 trail) are clearly marked on the 1:25.000 map. 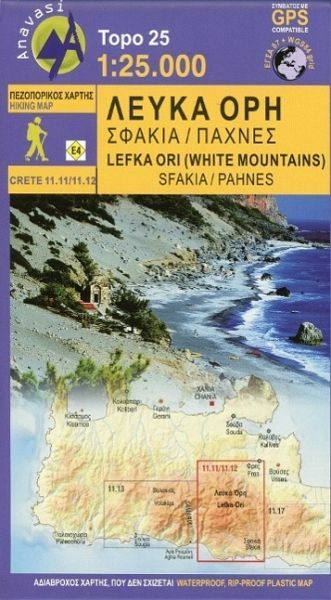 On the back side of the map there are short descriptions and comments for 15 proposed hiking routes.